Social housing residents in a new, 30-storey building in Vancouver will use a different entrance than their neighbours, according to a rezoning proposal that was approved on Tuesday by city officials. Officials rejected, however, a bid to build separate play areas. The development is planned for the current site of three apartment buildings, measuring three and four storeys, at the corner of Burnaby and Thurlow streets in the city's Davie Village neighbourhood. It will include 82 condominiums and, as required by the city, 39 social housing units — with separate entrances and lobbies. But an earlier plan by the developer for separate play areas was rejected by city council at a public hearing on Tuesday. In a report about the development, city staff said separate lobbies and entrances makes sense because the two housing types will be managed separately. But one single mother of three who spoke with CBC News earlier this week said she fears the potential stigma for her children. "Do I want to raise my kids in a place where every time they walk out the front door, they are reminded that they are different?" said Trisha. CBC News has agreed not to use her last name, because she worries her housing search could be affected. 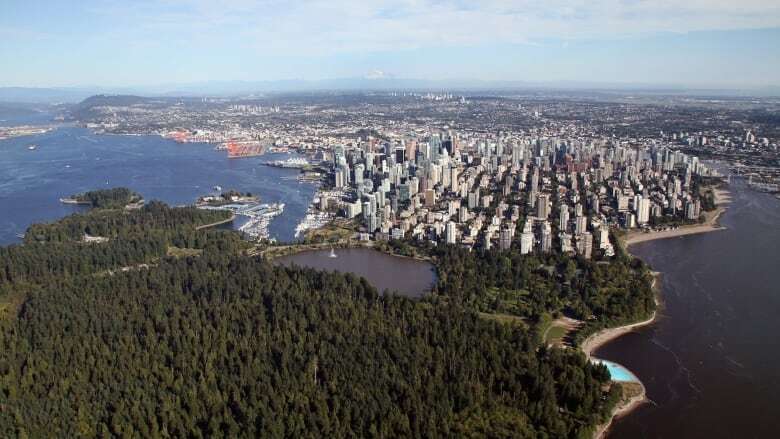 The city's own plan for the area says higher-density housing can be considered "for new developments that provide at least 25 per cent of floor space as social housing." Strand Development and Intracorp Partnerships Ltd. are the companies behind the project. Before Tuesday's meeting, several residents expressed their displeasure with the entire project in notes to city council. "There is no concern for the residents of the area, what was once a nice area for living is quickly and ruthlessly being destroyed," wrote Thomas Maddix. The tower, added James Hodgins, "encourages speculators and non-resident ownership with unaffordable housing."